Animator Behind Fictional Video Game in 'Her' Announces Real-Life Release - trendistic.com: ever tried. ever failed. no matter. try again. fail again. fail better. Samantha, the artificially intelligent operating system, wasn’t the only impressive tech in Spike Jonze’s Her. 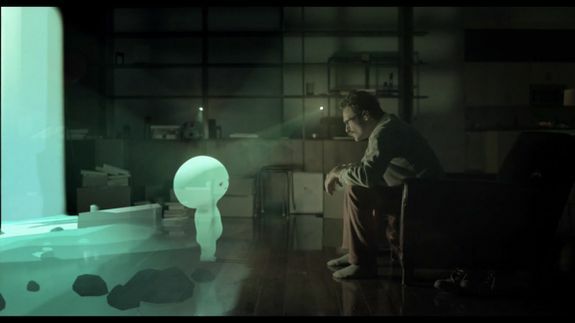 Joaquin Phoenix’s character plays a futuristic video game in the film that is now, in a way, coming to life. The animator and designer of the fictional game, David OReilly, announced the release of his first indie game — Mountain — at the Horizon Indie Game Conference at E3 on Thursday.